Stink bugs, also known as shield bugs, invade homes in the fall in search of a warm place to survive the winter, then are visible to homeowners in the spring as they try to return outside in the spring. They do not bite but release a foul odor when squished. DoMyOwn’s selection of stink bug prevention and treatment products will help create a stink bug-free home. 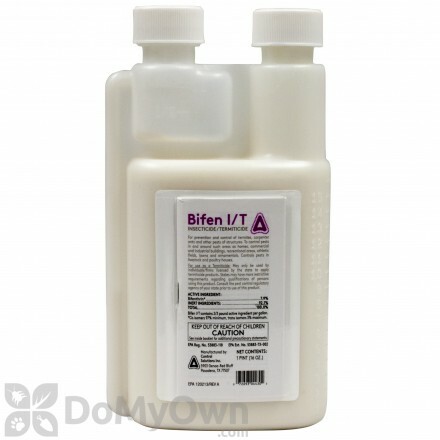 A professional insecticide pyrethrin dust that provides quick control of many common insects for up to 6 months. A professional insecticide that controls insects for commercial & residential ornamentals, trees, fruits & vegetables, fruit & nut trees, and agricultural. 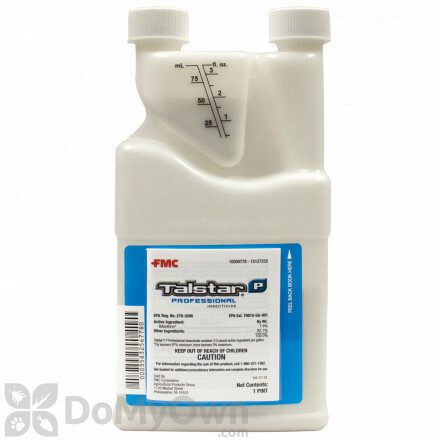 A professional ready-to-use termiticide insecticide foam for commercial & residential indoor & outdoor crack & crevice treatments. 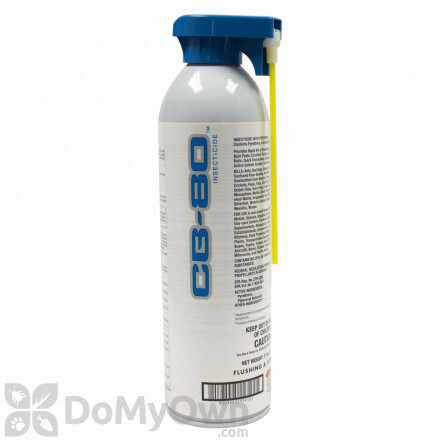 A professional insecticide for misting and fogging that delivers a flushing action and quick knockdown of flying and crawling insects for commercial and residential indoors. 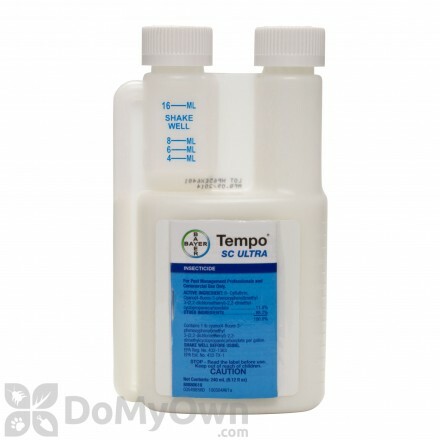 A natural insecticide that kills aphids, beetles, webworms, leafhoppers and many other lawn and garden insects. There are a variety of methods and products used to exterminate, prevent and repel stink bugs. 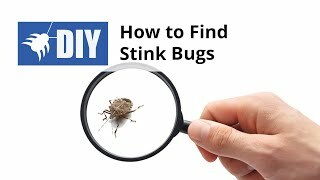 You can get rid of them using traps, stink bug sprays, or dusts. We carry all of the above. In fact, we are one of the few online pest control stores that carry stink bug traps. 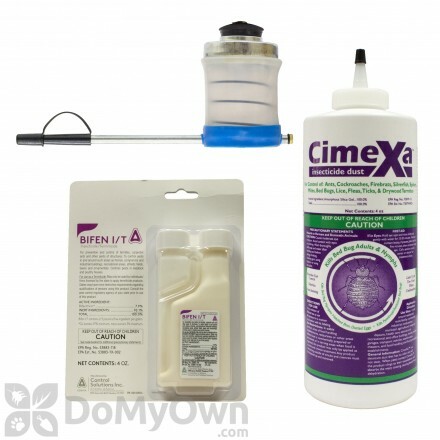 We also carry an excellent stink bug kit that will also control lady bugs, boxelder bugs, and other similar pests. On an agricultural scale, the odor is not the main concern with stink bugs. The main problem is that they cause significant damage to orchards across the world. They generally tend to cause the most damage to apple and peach farms. In some areas, the damage is so significant, the stink bug is now considered to be a major agricultural pest. For homeowners, the smell can be an issue. These smelly bugs can also cause damage to residential gardens, particularly fruit trees. In case you’re wondering how to get rid of stink bugs in the house, most of our products are safe to use indoors as long as you follow label instructions. 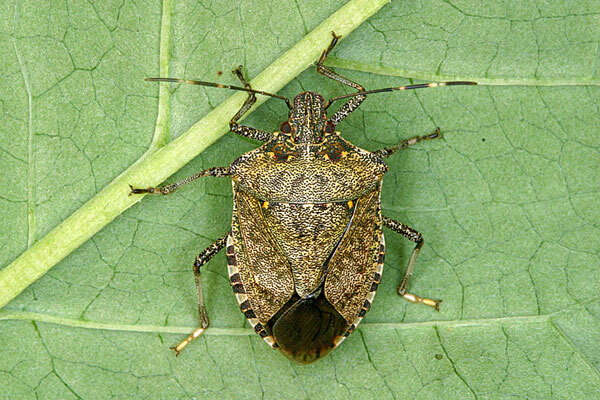 Stink bugs cause plant damage by piercing delicate leaves and fruit with their piercing sucking mouthparts and removing sap and cell tissues, leaving small decayed areas. Not only is this damage unsightly but it may actually cause portions of the plant or entire pieces of fruit to wither and die. Stink bugs are also a nuisance to homeowners who have the misfortune of having these pests make their way inside to overwinter. Stink bugs do not truly infest homes as they do not feed, mate or lay eggs indoors. Stinkbugs also do not bite or otherwise harm humans. The biggest complaint with these bugs is the smell they are able to emit when irritated or crushed. 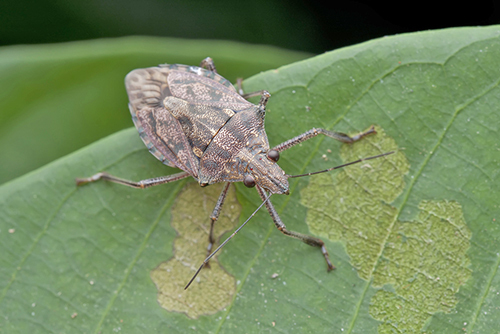 Stink bug control in the yard and garden can help prevent these pests from moving indoors for the winter. Treat in late summer before the insects have started to retreat to winter hiding places. 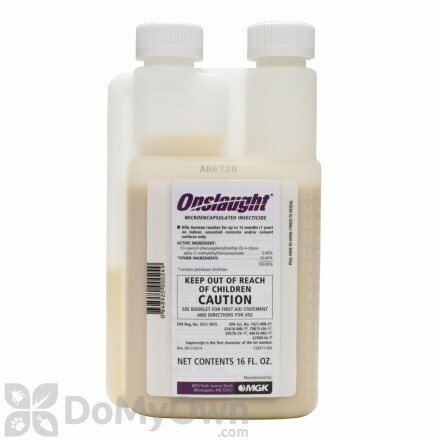 Use spray residuals such as Demand CS or Onslaught for the best control. Following product label instructions spray infested areas in the yard to eliminate as many of these pests as possible. It is also prudent to spray a barrier treatment around the outside of your home to prevent as many bugs as possible from entering the structure. Gathering points or areas where you see stink bugs on structure walls should also be treated. If your home has already been invaded by stink bugs that are settling in for the winter you will need to identify the specific hiding places (usually wall voids or dropped ceilings), and treat within these areas. A residual dust like Tempo 1% dustor Delta dust can be applied directly into wall voids and underneath baseboards using a hand duster. For a small number of individual stink bugs roaming around your home a vacuum cleaner with a hose attachment will do the job quite nicely. Stinks come in a wide variety of colors and patterns. Some areas have bright green stinkbugs while other areas may have stink bugs that are yellow with black dots or just plain brown. Stink bugs are generally between 13mm-19mm long, have a characteristic shield shape with a large triangle on the center back with wings that completely cover the abdomen. The name "stink bug" refers to the scent glands located on the underside of the bug. Stink Bugs are part of the insect family known as Pentatomidae. Some people call them shield bugs, others call them stink bugs. Nobody casually calls them Pentatomidae-bugs, because that’s just nerdy. And, to be even more specific, the Pentatomidae family is part of the Pentatomoidea group, which contains roughly 7,000 different species! 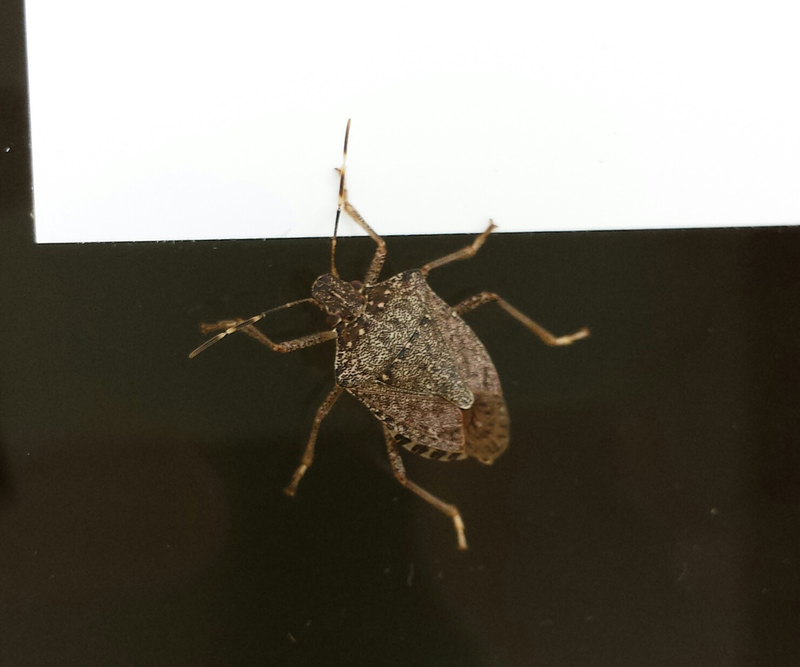 There are now what is known as the Brown Marmorated Stink Bug. This particular kind of shield bug was not originally from our side of the world. It was first recorded in the United States in 1998, in Pennsylvania. The Brown Marmorated Stink Bug also has an interesting scientific name. It’s called the Halyomorpha halys. Don’t ask us why it’s called that, we just specialize in the getting-rid-of-them-part! Believe it or not, some people wonder whether or not stink bugs stink. And the answer is yes, they certainly do! They have a special gland in their thorax that is released when the bug feels threatened. So if you ever feel the need to pick one up, do it slowly! The stink bug is known to have up to four generations per year in warm climates. This bug overwinters as an adult, and hides in the bark of trees, leaf litter, or in some situations- homes or other structures to obtain protection from the weather. As spring temperatures begin to warm, the stink bug moves out of the winter cover and begins feeding, mating and laying eggs. A single female stink bug may lay as many as 260 eggs in her lifetime. Eggs are laid in masses of about 30 to 130 on the underside of leaves. Eggs take from 5 days to 3 weeks to hatch depending on the climate. Stink bugs go through a nymph stage that includes 5 instar phases (stages of development), followed by the adult stage. The entire cycle may take between 65-70 days. If you are ready to kill, repel, prevent, or just get rid of those stinky little bugs, go ahead and choose from the products above. Feel free to give us a call if you have any questions. Call us at 1-866-581-7378.